The Freaks signature fire torch is the Firestorm. The backbone of the FireStorm is the new ‘RaptorRod’, an advanced composite material internal rod made from high strength nylon and glass-fibre and a partial aluminium core. 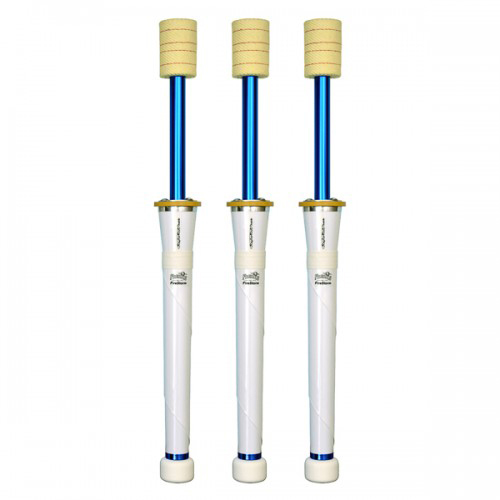 It is extremely strong and durable with micro-flexibility to absorb shocks without bending. It is high temperature rated, resistant to fuels and will not warp. 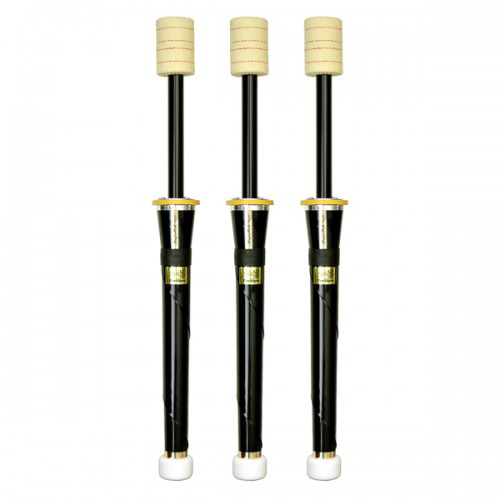 The neck tube is strong anodised aluminium with attractive colouring, which is easier to clean. With a lathe-turned aluminium insert to strengthen the neck against damage from hard drops. The neck tube also has an internal fuel seal to prevent fuel entering. An aluminium heat shield is used on top of the body as standard. It also has an advanced high temperature synthetic ‘fluoroelastomer’ washer as a powerful secondary heat shield. This high-tech material is tougher, more durable and has much higher flame and temperature resistance than normal rubber. It is much thicker than usual to offer real protection to the torch body from drops. 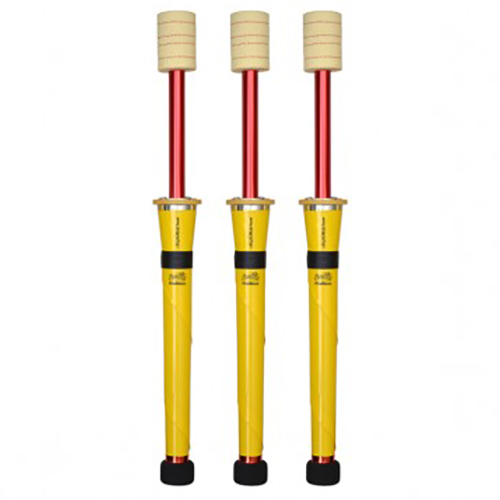 63mm wide pure kevlar® wick is used for big long lasting flames. It has a long handle and the balance point nearer to the centre for easier catches, faster spins and more control for hand manipulation type tricks. This VINYL version has soft wrapped handles with simple vinyl deco. Also features a high density foam knob with a unique ‘nitrile’ rubber insert to offer better protection to the torch from very hard vertical drops. Freaks is a UK based manufacturer of the best fire equipment around. Excellent quality construction and great value for money. A must-have for all fire spinners and jugglers.